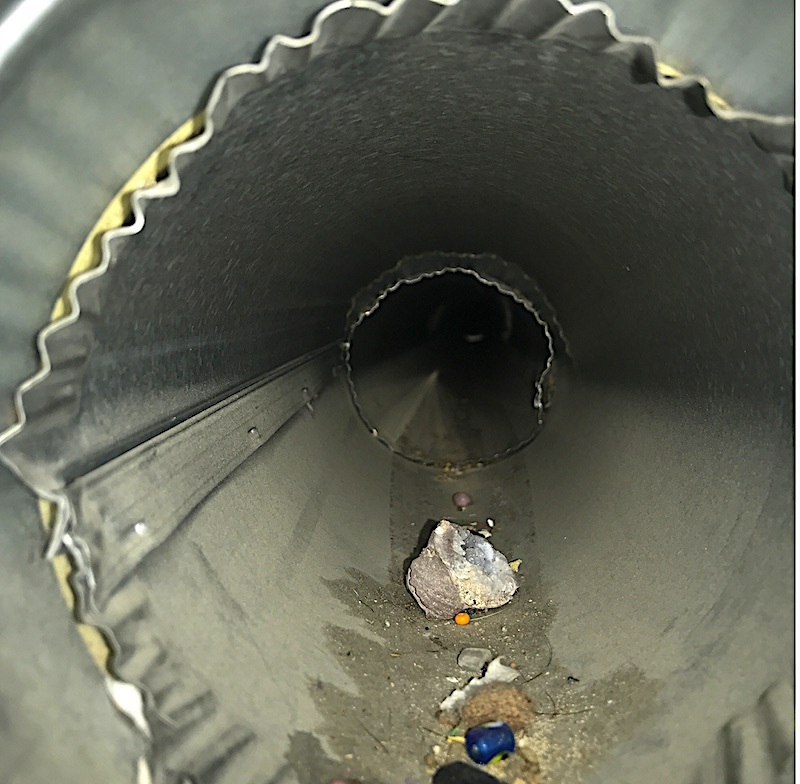 Whether or not a homeowner decides to have the air ducts in their home professionally cleaned, committing to a good preventative maintenance program is essential to minimizing duct contamination. be sure to operate and maintain the humidifier strictly as recommended by the manufacturer, if the heating system includes in-duct humidification equipment. Moisture should not be present in ductwork. Controlling moisture is the most effective way to prevent biological growth in air ducts. Moisture can enter the duct system through leaks, or if the system has been improperly installed or serviced. Research suggests that condensation (which occurs when the surface temperature is lower than the dew point temperature of the surrounding air) on or near the cooling coils of an air conditioning unit is a major factor in moisture contamination of the entire system. The presence of condensation or high relative humidity (RH) is an important indicator of the potential for mold growth on any type of duct. Controlling moisture can often be difficult, but here are some steps a homeowner can take. if the air-conditioning system is being replaced, make sure that the unit is sized properly to the home, and that all ductwork is sealed at the joints. A unit that is too big will cycle on and off frequently, resulting in poor moisture removal, particularly in locales that experience high humidity. Also, make sure that the new system is designed to manage condensation effectively.